Step 1: Finding the Lion’s Mane Mushrooms are a Part of the Fun. 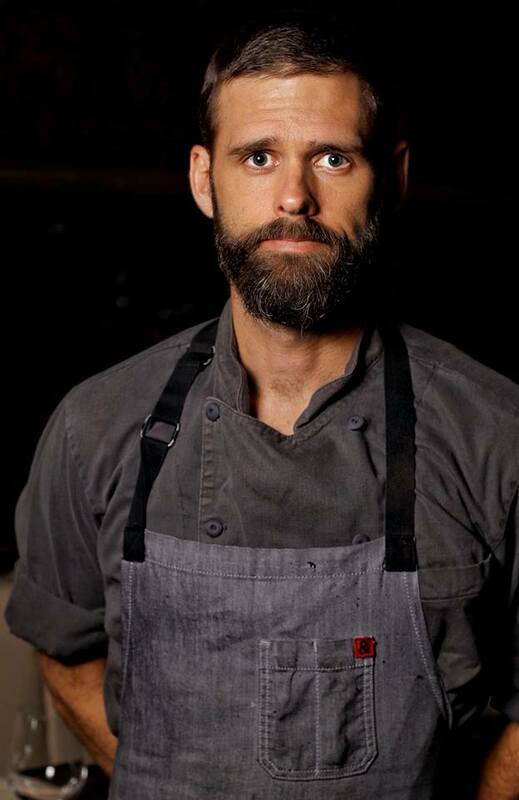 WiseGuys Executive Chef Chaun Bescos is widely known for his use of only the best local ingredients. The “Lion’s Mane” mushroom is definitely one of his all-time favorite mushrooms. 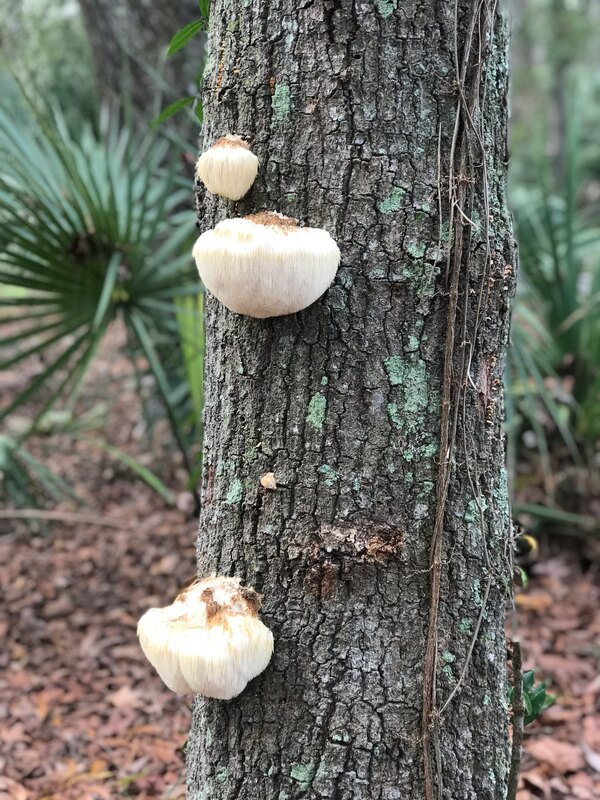 The best part is this mushroom is available for harvesting right here in Lowcountry. This specific mushroom is most often available between Halloween through Valentine’s Day, due to our mild winters here. Known for its nerve regenerative and immune boosting properties, this mushroom grows at the perfect time of year to be best utilized for both flavor and health. You can’t go wrong with this one! When Chef Bescos picks them in the wild, he’s looking for bright white mushrooms with little to no browning. He knows that the younger mushrooms taste better, and are more tender. That being said, for a mushroom to grow, it can take up two weeks to achieve the size in the photo above, yet it is still considered on the young side. 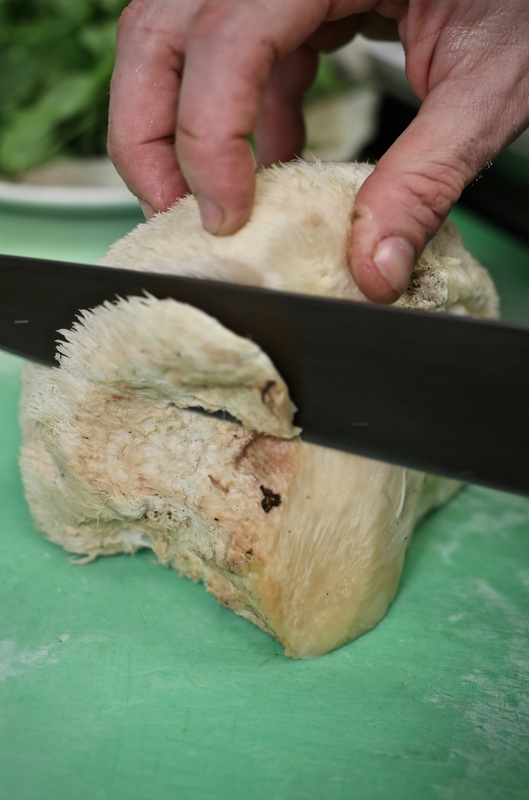 If the mushroom is firm like this one, Chef likes to cut them into ¼ inch thick steaks, just as you would cut the head of cauliflower. When the mushrooms are lighter and less dense, it’s easy to enjoy them as tempura fried bite size pieces (very delicious). This recipe calls for the mushroom to be sliced into steak sized portions. 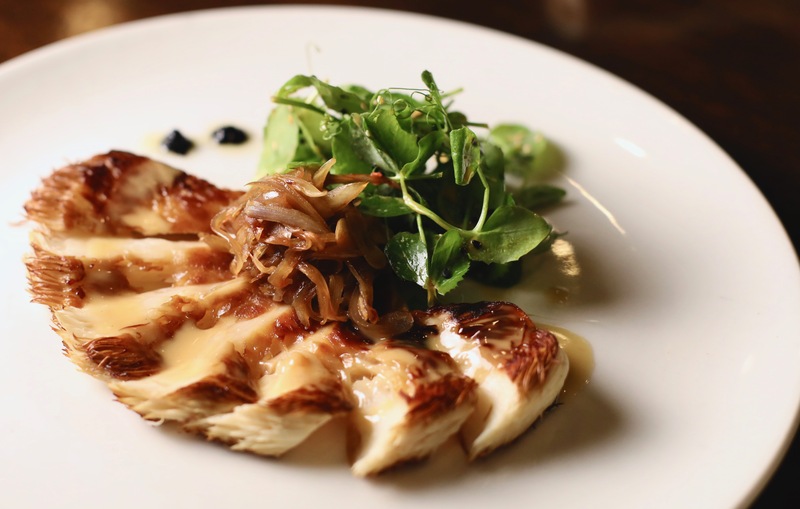 For this recipe, Chef decided to pair the Lion’s Mane mushrooms with caramelized shallots, a rich umami butter sauce, and locally grown pea tendrils tossed in a spicy citrus vinaigrette. In a separate pan add a little oil and heat on medium high. 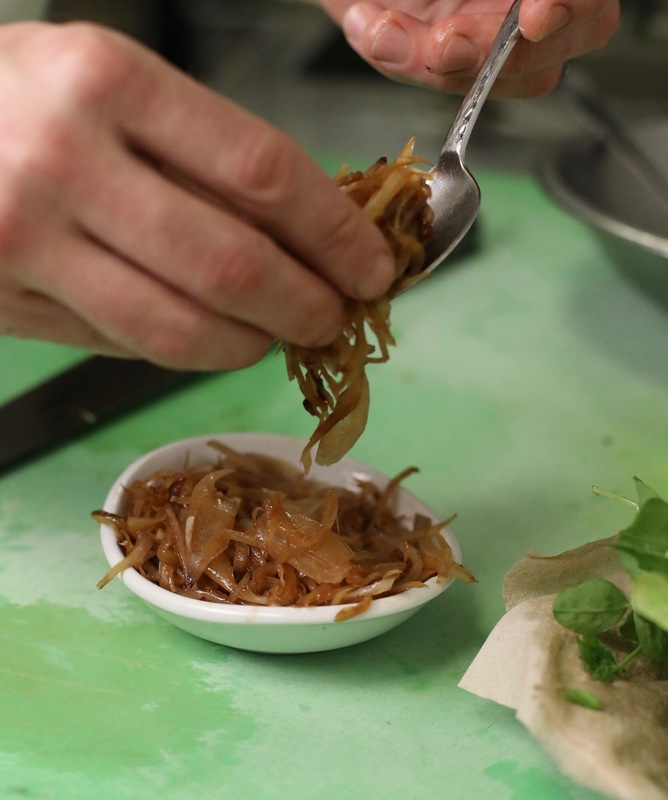 Once hot, add the shallots and let sit for a couple minutes before moving to accelerate the caramelization. Stir the shallots occasionally while browning. Once they have started to brown, add the garlic and cook until the garlic has incorporated well with the shallots. 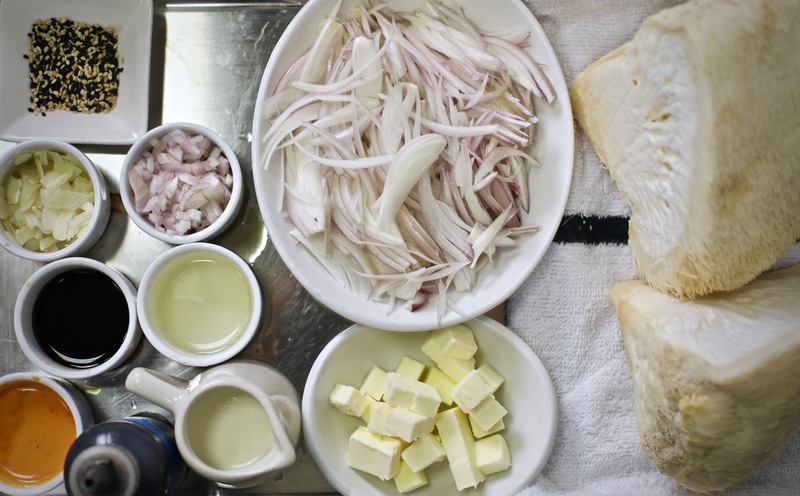 Finish the shallots with 2 t Tamari this will deepen the flavor, as well as the color in one shot. Hold warm for plating. Brush the Lion’s Mane with a little tamari on each side, and sauté in light oil in a cast iron (or heavy bottomed sauté pan). 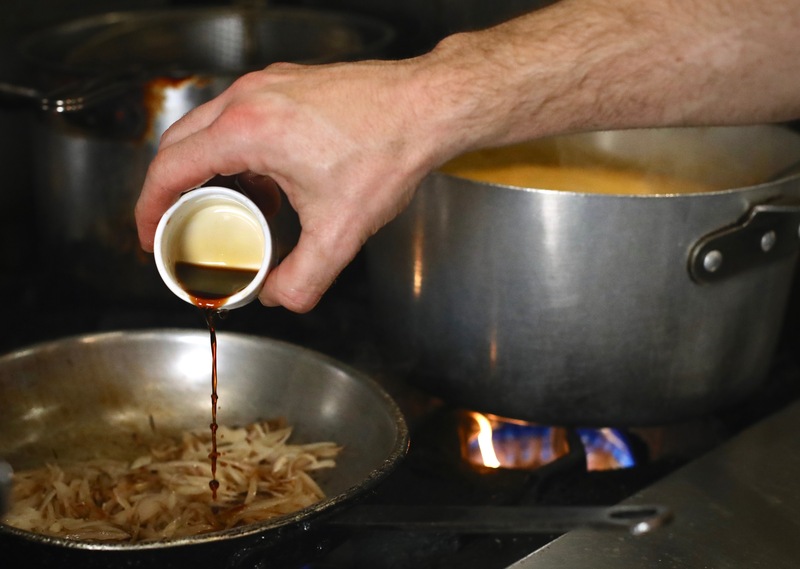 Cook for approximately 3 minutes on each side until they showcase a deep caramel color, and the mushroom has become tender throughout. Hold warm till plating. Finally, slice a few times to be able to fan out the mushroom. 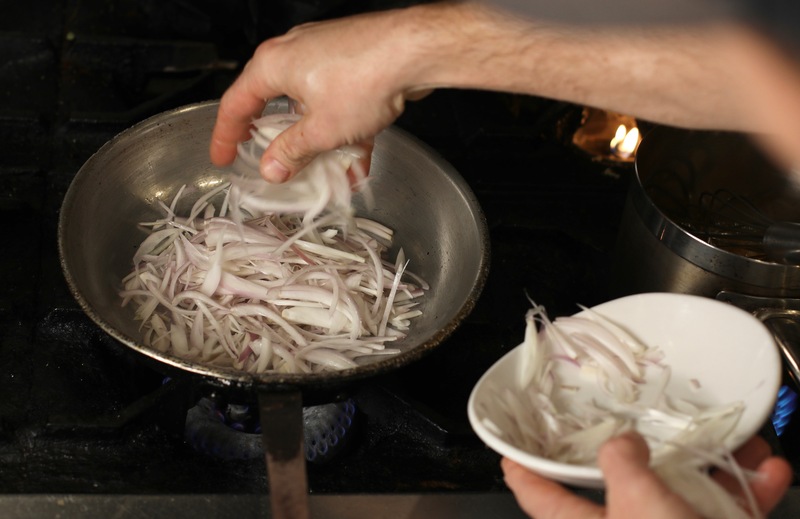 In a small heavy bottomed sauce pan, add the minced shallots, white wine, and the tablespoon of Tamari. Reduce this liquid until it is almost dry. At that point, add the heavy cream, and then reduce until the cream has become thick enough to coat the back of a spoon. Turn heat to low and whisk in your cold butter, a few cubes at a time. Turn off the heat, but keep warm for plating. 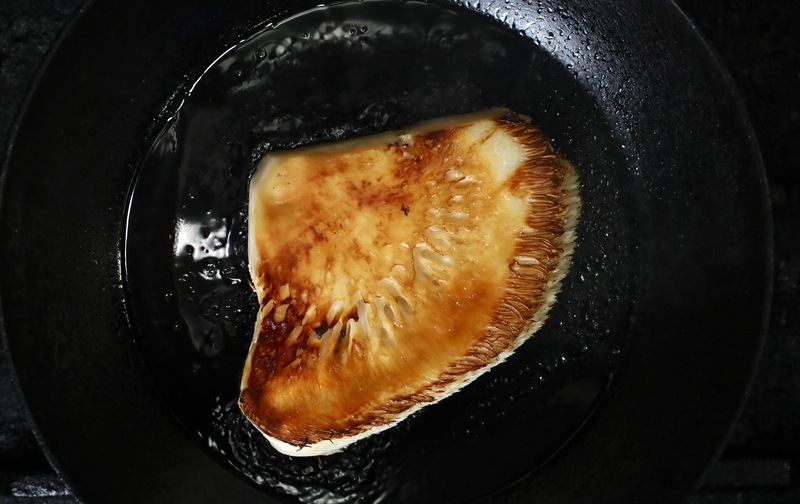 To plate the dish, place the sliced mushroom in the center of the plate fanned out. Nestle the caramelized shallots on top of the mushroom. 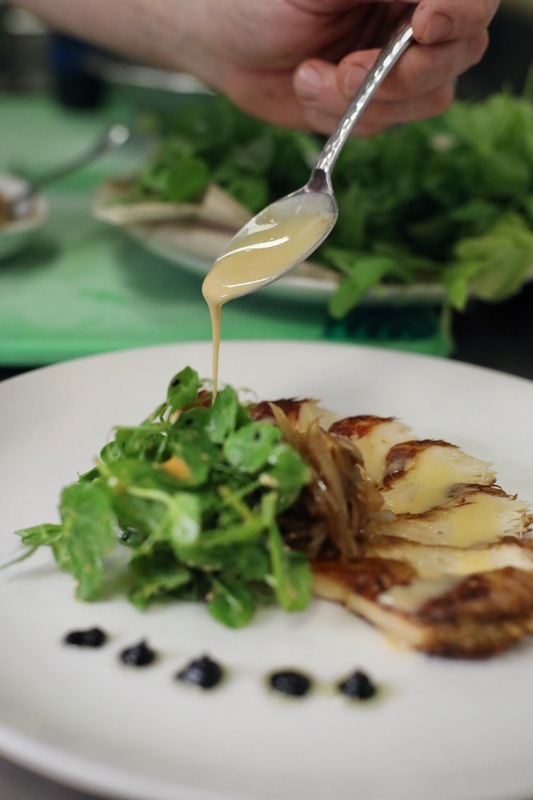 Toss the pea tendrils in dressing, and nestle near the center of the mushroom. To finish, spoon the butter sauce over each plate. Eat while its still hot, and enjoy eating local! In conclusion always remember to source your wild mushrooms from a certified mushroom forager. It is very important to make certain you are eating the right food. I have shared the Lion’s Mane knowing there are no poisonous lookalikes to worry about. You can source these mushrooms when in season at some of our local farmers markets. Don’t forget you can come to WiseGuys were I bring in my Forager Certified Mushrooms for guests to purchase & cook at home.